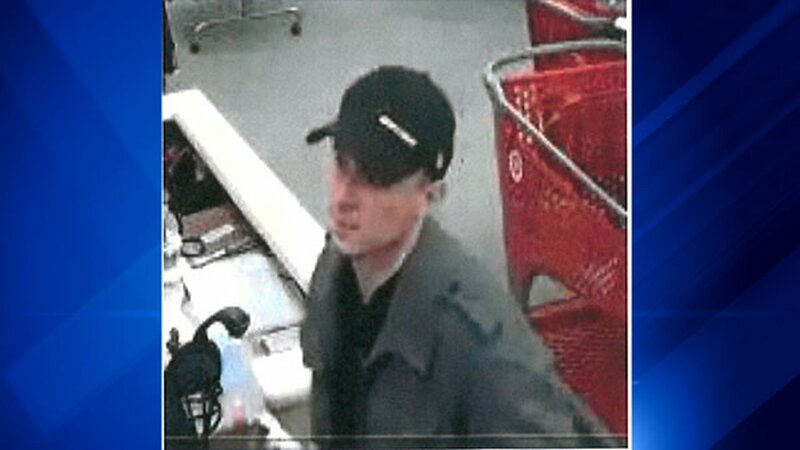 PALATINE, Ill. (WLS) -- Palatine police are looking for a man a girl said held his cell phone underneath her fitting room door at Target. Police said they responded to the Target on East Dundee Road on Sunday afternoon for a report of disorderly conduct. The girl, who is a minor, told them she was in a fitting room when she saw a cell phone being held under the door. The victim said the man holding it fled when she screamed. Police released a surveillance image they said shows the suspect and are asking for help identifying him. The white male is wearing a black baseball cap with "Bauer" in yellow lettering offset on the front, police said. Target released a statement Tuesday night, saying, "At Target, our guests are at the center of everything we do and our commitment to creating a safe and secure shopping environment in our stores is unwavering. As a part this commitment to safety, we have robust procedures, policies and trainings in place to ensure that our stores are safe places to shop and work. As soon as this incident was brought to our attention, we immediately partnered with local law enforcement. As this is an active investigation, please direct further questions to them." If you have any information about the man in the photo, contact Palatine police at 847-359-9000.